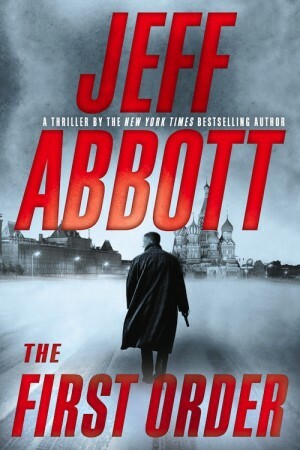 The First Order by Jeff Abbott is a very realistic thriller. This action packed fast paced story centers around an assassination plot. But the sub-plot is also very interesting as it explores the relationship between brothers. Abbott successfully uses the storylines of previous books and ties everything together in this fifth Sam Capra novel. The stage is set from the very first page with the quote by William Shakespeare, “There is but one mind in all these men, and it is bent against Caesar…security gives way to conspiracy.” The plot has an assassin becoming part of the Russian inner circle that is close to the President, Dmitri Morozov. As with Caesar’s assassination the killer wants to get up front and personal with the Russian President; yet, able to disappear, and live to enjoy his $20 million payday. The other side of the story is a family affair. The first Capra novel, Adrenaline, has Sam altering his life after watching his brother Danny supposedly killed by terrorists in Afghanistan on a video. His brother’s death defined Sam who then decided to became a CIA agent and later an avenger of wrongdoers. But after Sam finds out that his brother could actually be alive and has become a contract killer, he recognizes his mission must be to stop Danny from assassinating the Russian President, or the global repercussions could change history. Not one to conform to the rules he knows that to find his brother he must depend on human intelligence, as well as Mila, his partner, who he respects and has an unbreakable bond. He realizes that just using digital intelligence, computer hacking, or satellite imagery will not be enough to accomplish this mission. Besides this riveting plot the characters are very well developed. One of the enjoyable features of Sam is that he is a flawed hero. Throughout the book he makes mistakes, which sets him back. Abbot described it as “winning the war and not each battle, because that is what life is about.” In many ways Sam is an unconventional hero, including his cover of owning multiple bars around the world. Abbott gave a heads up about his future book projects. His next book will be a stand-alone, a psychological suspense novel set in Austin. For the subsequent Sam book he has three possibilities, but all will include Mila, Sam’s sidekick and best friend. Abbott is even thinking about writing a book mostly from her viewpoint. The First Order brings changes in Sam and Mila’s life. It becomes evident that Abbott wanted to shake up the series and has opened new possibilities for both characters. This espionage series has compelling stories and characters that keep readers on the edge of their seats.